There is nothing quite like gardening to satisfy to the soul, elevate the spirit, and keep the children occupied while getting fresh air and sunshine. Since mankind has lived by agricultural means for thousands of years, our connection to the Earth is deeply rooted as is our connection to the Sun and Moon. I have planted by the stages of the Moon for decades and always with success. It must be noted that the placement of the Planets according to the Zodiac is not the same in astronomy as in astrology. I use the astrological placement of the Moon by sign to plant. For planting the most fertile signs are the three water signs: Cancer, Scorpio and Pisces. Good second choices are Taurus, Virgo and Capricorn. Accordingly, plant underground crops when the Moon is dark. These crops like to sleep below and will enjoy the darkness. They include all vegetables that produce below ground crops… carrots, potatoes, turnips, beets and so forth. 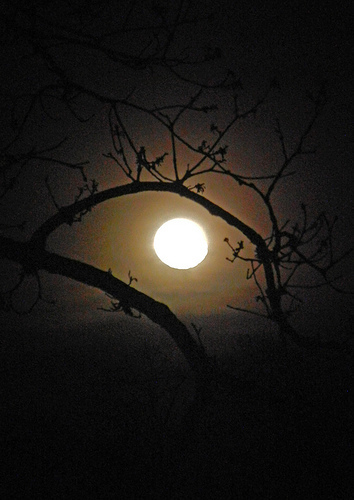 Plant the above ground crops in the light of the full moon. The heavenly force of the Moon will pull the seed from the ground so it may see the moonlight. Along that line of thought, there is a test the gardener may use when deciding to weed, plant, or transplant. Go to the garden and find a weed who has been cleverly hiding, attempting to disguise itself as a flower. Pull the weed and drop it on the walkway and wait a few minutes to see how quickly it begins to wilt. On a good day to pot or transplant, the weed will remain unwilted for up to twenty minutes, sometimes even hours. On a bad day, the weed will wilt almost instantly. The day it instantly wilts, do nothing in the garden but weed and the weeds will not return. On the days the weed does not wilt, you are free to transplant, trim to stimulate growth, repot, or plant seedlings… each endeavor will be met with success! The first year they sleep. Water on a monthly schedule even in winter and the reward is a healthy baby that will grow into a lovely adult. 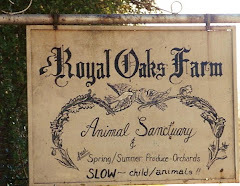 With a little food in the form of well rotted cattle manure, proper nourishment is assured. It is very important to assess the sun light in your garden. Look at the light as it progresses during the day to decide the placement of plants. Sometimes flowers that call for ‘full sunlight’ are ill prepared for the heat that often accompanies the sun. If wilt occurs several days in a row on a well watered flower, she may be begging for less light. 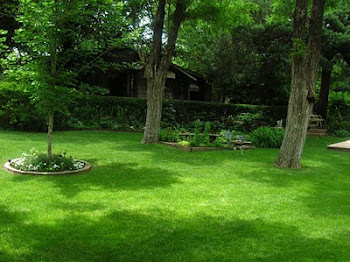 Perhaps move to a bed under the dappled shade of a Mimosa, which allows for filtered light. Remember that deep shade is very dark. 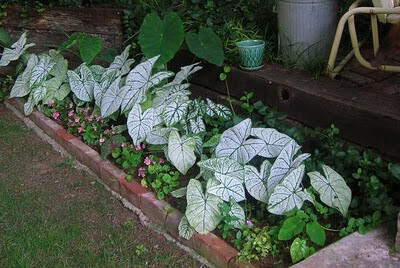 Plants which like deep shade will thrive in a bed surrounding a Mulberry, or Oak. Remember the Black Walnut tree produces a toxin which kills most plants, yet Sweet Woodruff flourishes at it’s feet. The ever faithful Caladium and the exotic Hosta are both extreme shade lovers. In fact there is a Blue Mammoth Hosta whose blue color intensifies as the shade deepens. Most gardens are a combination of 70% perennials and 30% annuals. Since perennials return each year, it is easy to maintain them and simply fill the bare spaces in the garden with the riotous color of annuals. Most annuals are sun loving and provide lasting color for the entire season. Each year new and interesting hybrids arrive on the garden scene yet still the heirloom varieties remain… perhaps mix them up a bit. This is the year of the Hibiscus with “Rosa del Rio” a gorgeous addition to any garden setting. Originally from South America, hardy and drought tolerant, they provide gorgeous glowing flowers all season. The one below is from an heirloom seed, the name of which is long lost. *Rosa may be ordered from 'Annie's Annuals'. The darling Gazania, originally from South Africa and whose dusty silver foliage resembles a dandelion, offers glorious color combinations and requires little water. It is said to be a treat for the desert tortoise. Cheerful Purslane is an ever-blooming plant that adores a container and will provide a low maintenance spot of color until frost. It is so adorable as the tiny flowers follow the sun, turning their heads as it travels the garden. The lovely Petunia has sacrificed scent for form but the deep purple still retains a heady aroma that will fill the garden. Petunias are prone to ’sudden death’ for no apparent reason so do not be surprised if yesterday’s robust plant falls ill and dies… however they are well worth the risk. The lacy-stemmed Cosmos includes a multitude of colors while remaining a wonderful cut flower and self-seeder. They are hardy and incredibly easy to grow. The darling marigold, an ancient staple from bygone eras, is a companion plant to vegetables with a spicy scent which discourages shield bugs. It’s medicinal purposes are lost, yet it remains an important addition to the garden. It has arrived lately in stunning colors, even sporting an enlarged blossom resembling a Mum. Those below are from my seeds collected for over 30 years. 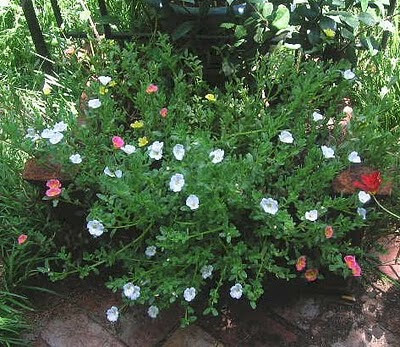 If you have a dry and harsh spot plant Portulaca, who loves it hot and enjoy the joyful exuberance of blossoms as they pour forth in wild abandon during the most stressful conditions the garden may offer. Originally from Brazil, it is called ’rose moss in South America and the southern states of America have had a love affair with it for over a century. The Vinca or common Periwinkle has begun to bloom in full glory. Once considered mystical and magical, a tool of Sorcerers, it has the most attractive deep shiny foliage which is resistant to lime or calcium build up. 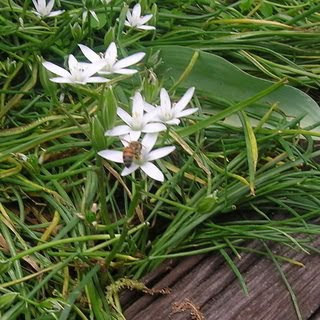 The plant remains compact while producing a host of flowers in white or clear pink all season. If buying annuals at a nursery or mass outlet, check for root growth, especially if the plant is blooming profusely. Gently pull the plant from the container and see if it has any root growth at all. If the roots are sparse, spindly, and thread-like put it back and do not buy it. It has been over fertilized and rushed to market and will likely die. 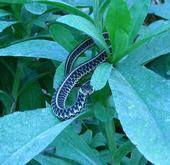 Also check for pests to assure you do not introduce them to your garden. Snails arrived in my garden through infected shrubs. 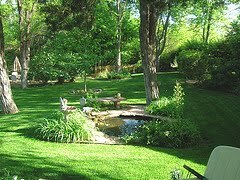 From water ponds to flowers, from vegetables to orchards, the possibilities for the garden are endless. Part of the joy of gardening is watching the evolution over many years…. and each year will provide a delightful surprise in an unexpected form. Enjoy! capacity so that you sufficing your urgent monetary needs.